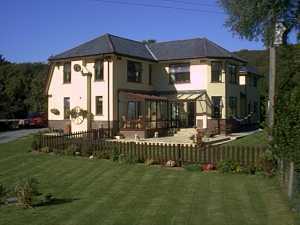 Penaber is situated within close walking distance of Borth y Gest and Porthmadog, on the Morfa Bychan Road. The house sits in its own grounds with a private driveway for safe off road parking. Ideally situated to reach the local attractions and places of interest in the area such as Portmeirion, the Welsh Highland and Ffestiniog Railways, Mount Snowdon, all too many to mention and not forgetting the lovely beaches. Activities can include sailing, watersports, golfing and walking. 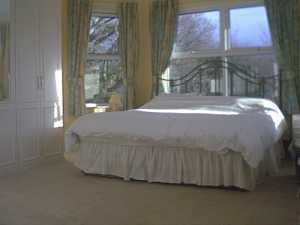 Penaber has one twin and two double rooms, one of which can cater for families. 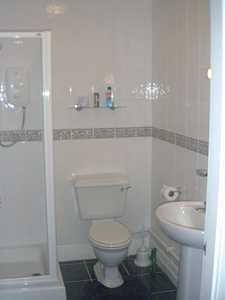 All the rooms are en-suite, tastefully decorated and are non-smoking. They have tea and coffee making facilities and colour televisions.